For her first appearance at Acton Hill Church, pianist An-Ting Chang has created a delightful programme of animal-themed piano solos, culminating in an extensive selection from Saint-Saëns' famous The Carnival of the Animals. 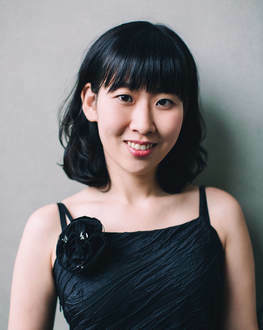 In addition to performing solo and chamber concerts regularly in the UK and other countries, Chang’s talent lays particularly on her creation of Concert Theatre, which is a new style of performance interweaving classical music and drama. It has been awarded various Grants, including from the Arts Council England, Elias Fawcett Foundation and Royal Victoria Hall Foundation and featured by In Tune on BBC Radio 3. Papillons (Butterflies) is Schumann’s second published work, written when he was twenty, just after he abandoned his study of the Law and awakened to the life as a composer. Pappillons is a typical ‘programme’ music, which is based on Jean Paul’s novel Flegeljahre (The Awkward Age). Schumann used the music to depict its final ball scene at which the twin brothers, Walt and Vult, confronted each other over the love of Vina. In Schumann’s opinion, ‘Papillons is actually a setting of this carnival to music. Does it not faithfully reflect something of Vina’s angelic love, of Walt’s poetic temperament and of Vult’s sharp, brilliant nature?’ The title of the music, Papillons, reveals the ‘butterfly’ nature of the piece: vivid characters appear one after another just as a variety of the colourful butterflies fly among the flowers. Daquin was a French prodigy who has performed harpsichord in front of Louis XIV at the age of six and conducted his own composition at the age of eight. Daquin was the best virtuoso improviser of his generation and invented the unique harpsichord technique in his published music. Le coucou is one of Daquin’s most famous music, in which Daquin imitated the two-syllable sound of cuckoo as the theme and developed it in different keys and tones. The Spanish composer, Granados, was inspired by Goya’s painting to compose the piano suite, Goyescas. Granados wrote, ‘I am enamoured with the psychology of Goya, with his palette, with him, with his muse the Duchess of Alba, with his quarrels with his models, his loves and flatteries.’ Quejas, ó la Maja y el Ruiseñor (The Maiden and the Nightingale) is the fourth movement of the suite in which the maiden sings mournfully to the nightingale. Granados used the melody of a folksong he heard in Valencia countryside for the maiden’s singing. The sound of nightingale is interwoven with her voice and the music is left with only nightingale’s sound towards the end. Rimsky-Korsakov wrote Fight of the Bumblebee as an orchestral interlude in his opera The tale of Tsar Saltan in 1900. A magician, Swan-Bird, changes Prince Gvidon Saltanovich into an insect so that the prince can fly away to visit his father. This composition is very often used as a solo showcase for the instrumental virtuosity. The fast semiquaver throughout the piece creates different sonority and great excitement and is a highly technique challenge for the instrumentalists. This piano transcription is arranged by Sergei Rachmaninov. Poisson d’or (The Fish of Gold) is selected from Debussy’s Image, Book II. Debussy painted pictures with tones. He created distinct sonority with the fresh harmony and the spontaneous rhythm. The painter Maurice Denis expressed it this way: His music kindled strange resonances within us, awakened a need at the deepest level for a lyricism that only he could satisfy. What the Symbolist generation was searching for with such passion and anxiety – light, sonority, and colour, the expression of the soul, and the frisson of mystery – was realized by him unerringly.’ Debussy often went to a shop selling Chinese antique which he was mad about. It is said he was inspired by the two gold-coloured fish on a small Japanese lacquer panel which he bought there to compose Poisson d’or. Chopin ‘s Waltz in D flat major, Op. 64, No. 1 is commonly known as the ‘Minute’ waltz or ‘Little Dog’ waltz. The name ‘Minute’ depicts the nature of the piece being short (not because it lasts only for a minute). It is believed that Chopin was inspired by seeing George Sand’s dog, Marquis, chasing its tail. Chopin seemed to adore the dog and mentioned it in the letter to his family, ‘The little dog Marquis is staying with me and is lying on my sofa. It is an extraordinary creature: it has a soft fluffy white coat which Madam Sand herself brushes every day, and it is as intelligent as can be. I can't begin to tell you all its original tricks.’ Not only for George Sand’s dog, Chopin also composed another waltz op. 34, no. 3 for her cat, Valdeck. Chopin called it a ‘Cat’ waltz. The cat jumps up to the keyboard opening the piece and, in the middle section, there are yearning long notes which imitate sound of cats. Le Carnaval des Animaux (The Carnival of the Animals) is the most popular work from the French composer, Saint-Saëns. The original score was written for two pianos, two violins, viola, cello, double bass, flute (and piccolo), clarinet (C and B♭), glass harmonica, and xylophone. Saint-Saëns composed the music for a private concert on the Shrove Tuesday and it was performed by the famous cellist, Charles Lebouc. Saint-Saëns quotes many famous tunes as musical allusion, including La Poule by Rameau (Hens and Roosters), Galop Infernal in operetta by Offenbach (Tortoises), Danse des sylphs by Berlious (The Elephant) and some nursery rhymes and song from The Barber of Seville by Rossini (Fossiles). In order to keep his reputation as a ‘serious’ composer, Saint-Saëns forbad the work to be published during his lifetime. The work was finally published in 1922, a year after Saint-Saëns’ death. This piano solo version is arranged by An-Ting Chang. Chang’s background is unique. In 2007, she graduated from Taiwan’s top university, the National Taiwan University, majoring in Chemistry with a minor in Drama Theatre. She obtained an MMus (Piano) at the Royal Academy of Music, London, winning a Maud Hornsby Award and in 2009 received a DAAD Scholarship- advanced diploma (Aufbaustudium) in piano performance at the Hochschule für Musik, Franz Liszt Weimar, Germany. She is currently finishing a PhD (performance practice) at the Royal Academy of Music. 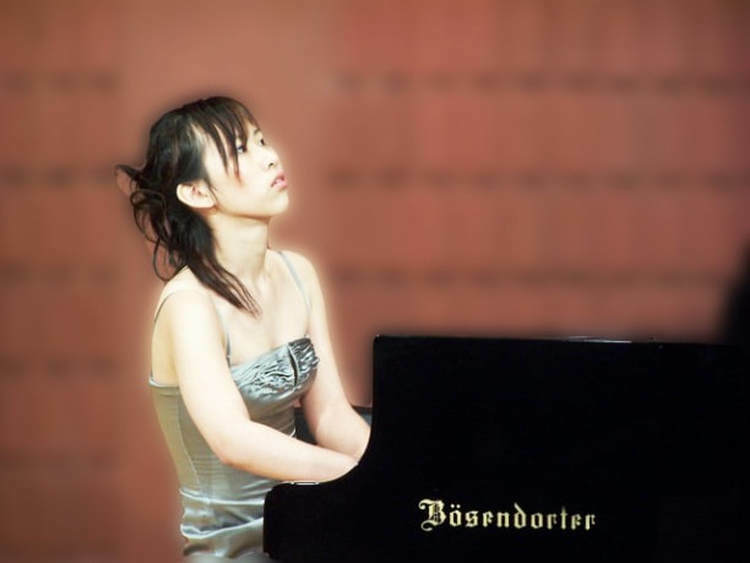 Chang regularly appears on the national and international concert circuit and has recently performed at Balcktheath Halls, Newbury Spring Festival, Deal Festival, Altenburg-Liszt Salon Weimar, and the Akademie der Künste Berlin (Academy of Arts). In addition to solo and chamber recitals, Chang is constantly seeking new and creative approaches to combine her concerts with different media. Her creation of Concert Theatre was awarded grants from the Arts Council England, Help Musicians, Fenton Arts Trust, Elias Fawcett Trust and Garrick Club Trust and Chang has been featured by In Tune (BBC Radio 3), including an interview and live performance. John Packwood (Bristol Post) described her as ‘a distinguished artiste’ and Martin Cullingford (Gramophone) noted that her Concert Theatre work was ‘beautiful and poignant’. Her current Concert Theatre works include The Tenant (UK tour including National Portrait Gallery, Bury St Edmnds Festival), Kiss of the Earth (UK Tour) and Sonata Movements (Blue Elephant Theatre). ​Chang’s debut recording, ‘Water Image’, is available on site. The programme includes Beethoven’s Moonlight sonata, Ravel’s Jeux d’eau, Debussy’s Estampes and Chopin’s Barcarolle. You can also follow Chang’s concerts on her website: www.antingchang.com or write to her at antingchang@concerttheatre.org.uk.